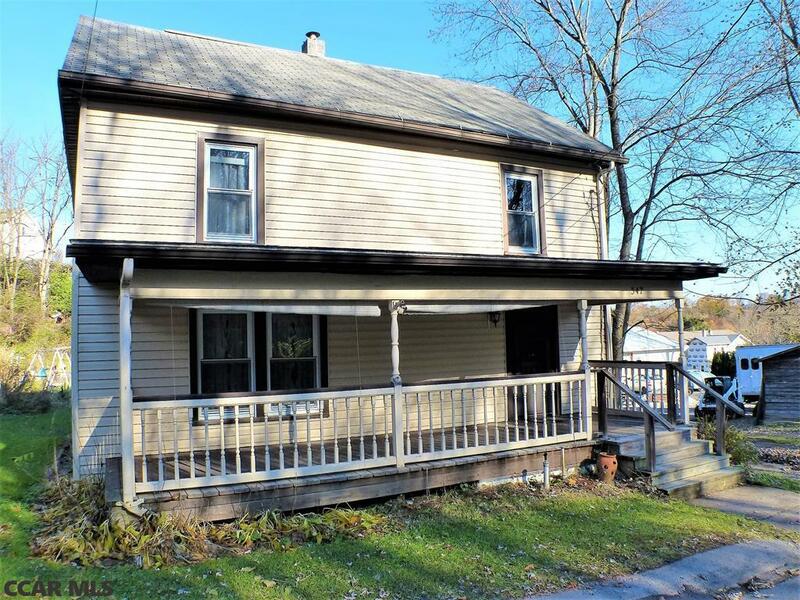 This affordable Bellefonte home features 3 bedrooms, 1 full bath, a first floor laundry, spacious living room and bedrooms, and off-street parking. For those who love to cook, the kitchen provides a lot of work and cabinet space. The walk-up attic can offer extra storage space or you can add a heat source for an office or extra living space. Relax, sip a cup of coffee and enjoy your time outside on the large, covered front porch. The rear porch also overlooks a wonderful back yard, which includes a fire pit and convenient storage shed. This property is being sold 'As-Is'. Schedule your showing today!